West Bengal Chief Minister Mamata Banerjee dominates the front pages, but has some competition from Vijay Mallya after his extradition and a scoop interview of Rahul Gandhi in Hindustan Times. The drama in Kolkata rivets print and broadcast news alike for the second day running. The headlines follow two main strands: One is “Opposition leaders call on Mamata, back her protest” (The Hindu), “Parties throw weight behind Didi in CBI war” (Hindustan Times), while the other is “SC to take up CBI plea today, Mamata continues protest” (The Indian Express), and “Show us proof WB govt blocked probe and we’ll come down hard: SC to CBI” (The Times of India). Tuesday morning the SC ordered Kolkata police commissioner Rajeev Kumar to cooperate with CBI’s investigation but said he cannot be arrested. TOI devotes two inside pages to the Kolkata drama. It writes that Banerjee has made a “gamble”, since she is using an “administrative issue to break the present political paradigm in the state and polarise the electorate”. Nevertheless, “Virtually all Opposition parties rallied behind Ms Banerjee in her confrontation with the Narendra Modi government,” writes The Hindu. Its source compares the CBI’s midnight siege with “the midnight surgical strike at the CBI headquarters in October… suggesting a political common factor in both actions”. The “surgical strike” here refers to the government’s midnight decision last October to send the then CBI director Alok Verma and special director Rakesh Asthana on leave while appointing M. Nageshwar Rao as interim director. Vijay Mallya is back on front pages today because “UK home secy gives nod for Mallya’s extradition” (TOI). “India was quick to ‘welcome’ the decision”, writes the Express. Mallya has said he will appeal against the order. Hindustan Times leads with a Rahul Gandhi interview, with the full-page version inside (page 9). Highlights on Page 1: “The need to address the job crisis; two, the challenges posed by agrarian distress; and three, that ‘we are not going to let Mr Modi and the RSS [Rashtriya Swayamsevak Sangh] destroy India’s institutions’. The thrust of the interview is the Prime Minister and his “crony capitalism” and Modi’s “decisions that divide the country”. TOI and Express take slightly different viewpoints on the showdown in Kolkata. The Express, in “The Spectacle”, emphasises that the “war of images and words has … overtaken the issue ostensibly at the heart of it all… the Saradha investigation… in which thousands of small investors were cheated”. It writes that “the loud invocations of Corruption, Constitution, Democracy and Federalism by both sides” hide “a narrow short term electoral calculus”. On Day 2 of the Mamata show, TV channels followed her lead wherever she went. Alternately, they covered the political tamasha in Delhi as the BJP and the opposition reacted to the “dharna politics” in Kolkata. 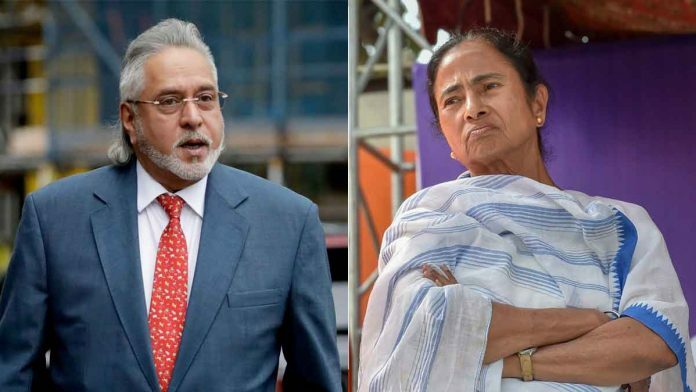 Later in the evening, Bengal’s chief minister was displaced and replaced in the headlines by another TV favourite, industrialist Vijay Mallya, after the UK home secretary signed off on his extradition to India. On Republic TV, PM Modi’s success in obtaining the extradition of Mallya was celebrated by coalition partner JD(U). “Under the leadership of Modi government, India is in the position to get back fugitives from anywhere in the world,” said JD(U) spokesperson Ajay Alok. On the newly-launched, Republic Bharat, anchor Arnab Goswami interviewed Union Textiles Minister Smriti Irani on the Mamata saga. The other newly-launched news channel, Harvest TV, saw anchor Barkha Dutt point out to Garga Chatterjee (TMC) on Democracy Live that if Yogi Adiyanath had done what Mamata was doing—thwarting the CBI — her party would have criticised him. Chatterjee gave a long reply and cited the Supreme Court’s appreciation of Rajeev Kumar in the Saradha investigation, “the leaked phone call” between BJP leader Mukul Roy and BJP national general secretary Kailash Vijayvargiya on the need to `fix’ certain Bengal police officers last October. The PM, she said, made a negative reference to Kumar at his rally in Bengal, and “two days later the CBI raid” occurs. BJP’s Sudhanshu Mittal followed the BJP line by asking her if the TMC supported the corrupt in India. On India Today, anchor Rajdeep Sardesai wanted to know if, under Didi (Mamata Banerjee), Bengal had declared an “independent republic”. Kakoli Ghosh Dastidar of the TMC reminded him that the CBI had ignored the Calcutta High Court ruling that gave relief to police commissioner Rajeev Kumar until February 15 . She accused the Centre of hounding the opposition, using “bare teeth and nails” to “accost them”.